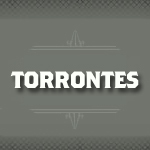 Torrontes is a white skinned wine grape predominately grown in Argentina, although it can be found in Chile and Bolivia as well. It produces a wine that is moderately acidic with a soft mouthfeel. Flavors are distinctively peach and apricot.